If you know me well, then you know that I have a love story going on with British pubs. I basically spent my uni year in Cardiff in a pub (when I wasn’t at uni, right! ), reading, researching, learning in a quiet corner, preferably next to a warming fireplace, with something steaming on my table. I love everything about British pub culture: the togetherness, the pints and half-pints, the bags of crisps, the grub (that’s how the English lovingly call their pub food) and Sunday roasts, the feeling that you’ve landed in a good friend’s own living room, the chatter, the carpets, the cosy corners, the fireplaces, of course (! ), just the whole concept of a place where everyone can meet and hang out. I always miss a good pub when I am on adventures in other parts of the world. It’s the thing I wish would have been imported by the Germans. Pubs, they really make the world a better place. 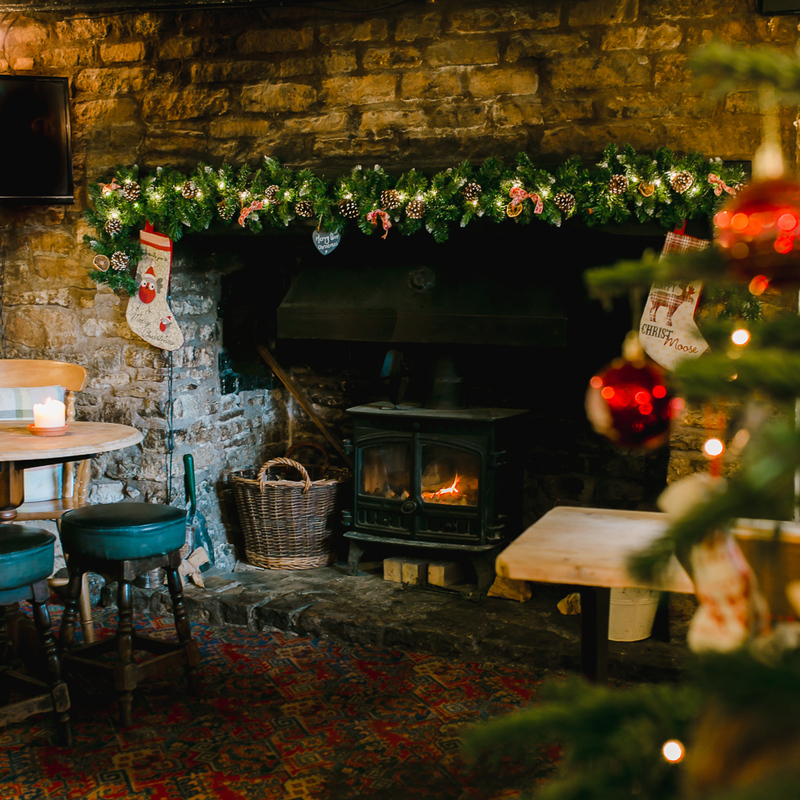 And then when Christmas time comes, those pubs dress up even more beautifully, garlands and fairy lights adorn the fireplaces, Christmas crackers on the tables, trees in every corner, and more candles, too, and everyone seems to wear Christmas jumpers and funny hats and enjoys a jolly good time. The Brits really love their Christmas time, and I like them even more for it. The cottage that we’re renting this November and December lies in the English countryside just outside of Bath, and is just a nice walk away from this typical village which features everything you expect in an English village: red telephone and mail box, stately Manor house, church with a graveyard and wonky tombstones, sheep dotted like little clouds on the winter green hills, and of course, a country pub, where villagers meet at night over a good pint or two and a bag of crisps. 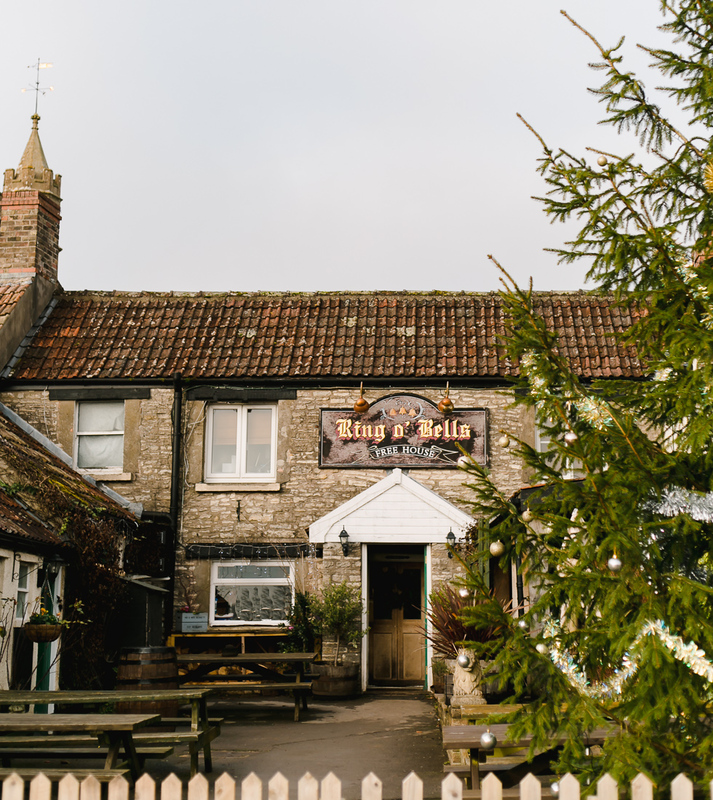 So today I popped in our current local – the Ring o’Bells – to take photos of their xmassy interior. A passion project, just for me, just to photograph a bit, to be creative, to do something that warms my heart, because this little pub reminds me so much of the one where Cameron Diaz meets Jude Law in my favorite movie The Holiday, and I really wanted to capture its cosiness with my camera. I really enjoyed this hour on my own, capturing every little detail while the staff were lighting fireplaces and getting ready for busy Christmas party lunches. I may have started a tradition, right here right there, taking photos of a country pub at Christmas season, oh yes, I like the idea. 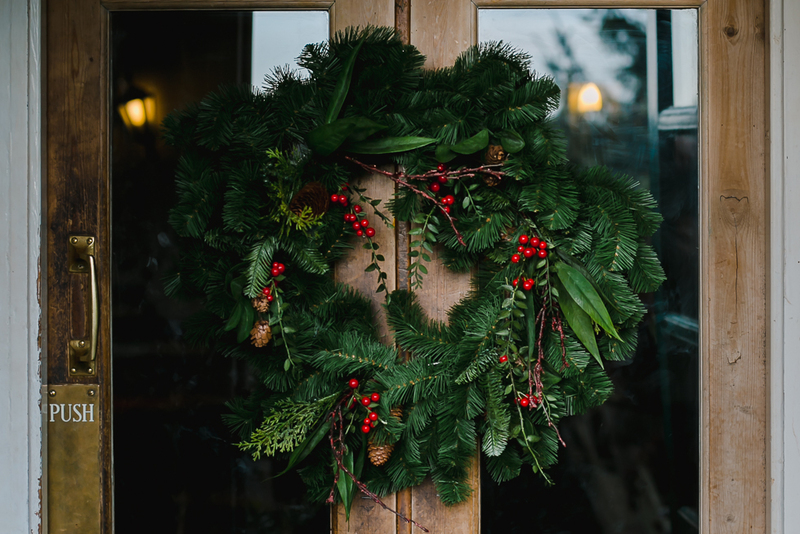 Merry Christmas from the English countryside.